Ferrari and the entire Fiat Chrysler Automobiles’ face a very difficult transition time after the death of Sergio Marchionne who was the driving force behind the recent success of the eclectic great brands. Born in Italy, he and his family emigrated to Toronto, Canada at the age of 13. As a result, he spoke fluent English, French and Italian. He completed his undergraduate studies in philosophy in Toronto, then earned a Bachelor of Commerce and finally a law degree. He worked his way up the ladder, from an accountant and tax specialist in Canada, he became Chief Financial Officer at Acklands Ltd. He then became Chief Executive Officer at Algroup in Zürich. In the meantime, he was elected as an independent member of the Board of Directors of Fiat S.p.A. in May 2003, until being appointed CEO in 2004. Marchionne soon became the crucial element of the company. He was a great problem solver. His biggest achievement is seen as merging Fiat with Chrysler. He plucked the American brand from the brink of collapse and executed a successful synergy. He had a love for Alfa Romeo which has now a product renaissance and joined forces with Formula One team Sauber. He also had big plans for his Maserati. Jeep became one of the world’s most profitable car brands. By many, Marchionne will be remembered for both warmth and coolness. He may have not been the most friendly towards the press, especially the German press, but he had a passion for Ferrari and the entire company. As a workaholic, he did the best to turn Fiat’s fortunes around after a torrid time for the Italian car giant. He joined the then-struggling Fiat in 2003 and next year, following the death of the chairman Umberto Agnelli, he became the CEO. The death meant the promotion of Luca di Montezemolo who became the Chairman of Fiat. 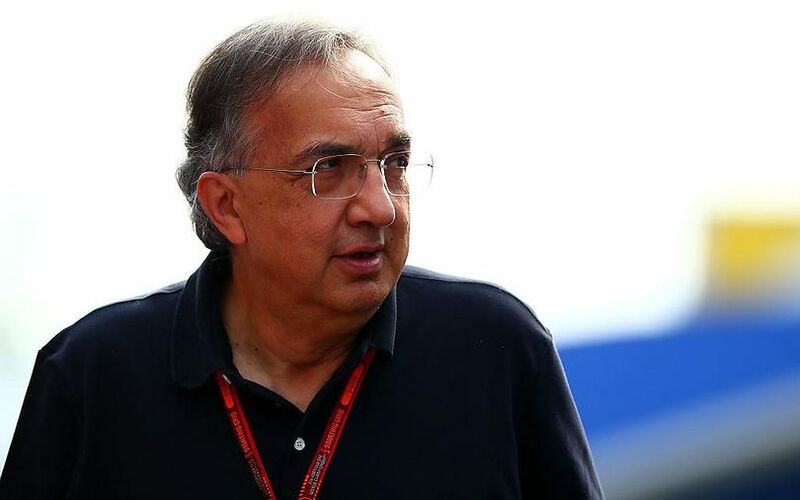 Montezemolo installed Marchionne as new Fiat CEO. Marchionne’s boldest move came in 2009 when he acquired a stake in Chrysler which the Fiat group increased to a 58.5 per cent stake and two years later, they brought out the remaining stakes. The Italian also spun off Ferrari into an independent division and focused on the premium brands of Alfa Romeo, Jeep and Maserati. Marchionne unveiled the company’s five-year strategy in June in which he declared that he targeted further expansions for Jeep, Alfa Romeo and Maserati. Rumor had it that he wanted Maserati to launch a race programme, possibly in DTM. The Italian planned to step down from his FCA role and wanted to give the business to “young punk” as he said. Marchionne’s plans included heavy investments in electrified technology for the company’s brands. Marchionne had very important roles and it will be extremely tough to fill the void he left behind. Like in case of former Formula One supremo Bernie Ecclestone, Marchionne’s roles have also been divided and handed to various senior people. Brit Mike Manley has been named as Fiat Chrysler Automotives’ CEO. The 54-year-old, Edenbridge-born businessman worked at various dealerships for different companies of Great Britain before moving to the US and taking a top job at Jeep. With the merging of Fiat and Chrysler, he became part of the big family. John Elkann has been promoted as FCA’s Chairman. The 42-year-old is the grandson of former Fiat boss Gianni Agnelli. He is the chairman and CEO of Exor, the holding company controlled by the Agnelli family which has controlling stakes at Ferrari, CNH Industrial and Juventus F.C. Louis Camallieri has been appointed Ferrari’s new CEO. The 63-year-old was the chairman of tobacco company Philip Morris which is a long-time sponsor of Ferrari’s Formula One Team.